There are more than 70 rivers and canals in the city with around 400 bridges across them. 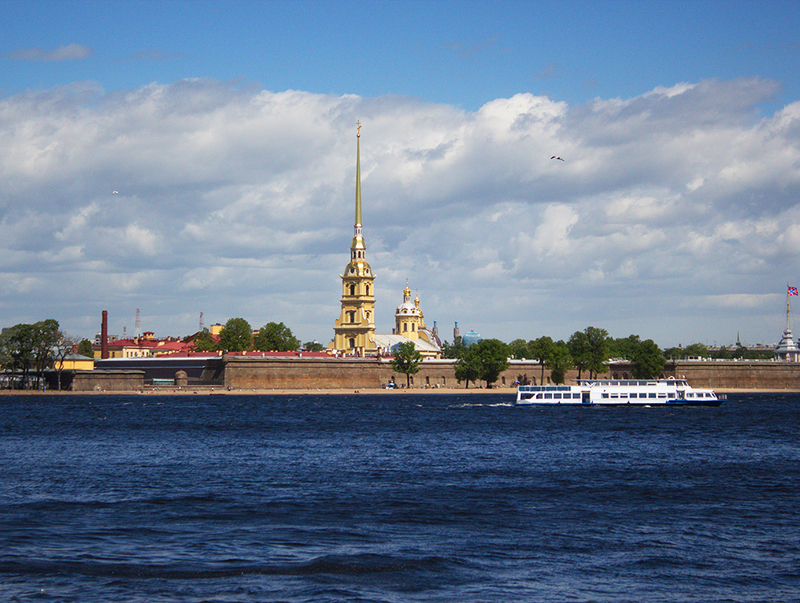 All the bridges over the Neva are raised to allow large vessels pass through at night between April and October, when the river is navigable. The palace main staircase adorned with grey granite columns and white marble vases preserves the magnificent appearance of old times. Now the palace is used as a place for the city concerts. Every evening folk shows "Feel yourself Russian!" are held here. Open: May 1 — November 10, from 11 a.m. till 7 p.m.
Open: from 11 a.m. till 6 p.m. Address: 26, Griboedova canal Emb. Open: from 10.30 a.m. to 4.30 p.m.
Open: from 10 a.m. till 5 p.m.
Open: from 10.30 a.m. till 5 p.m. 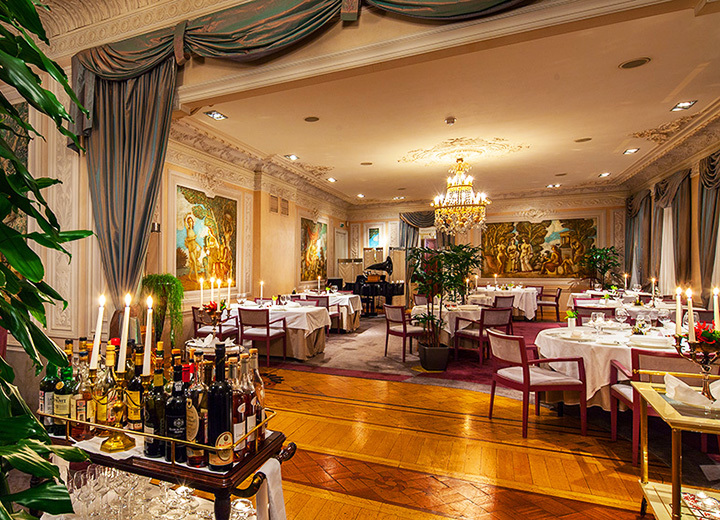 Address: 12, Moika River Emb. Open: from 11 a.m. till 5 p.m.
Open: from 10.30 a.m. till 6 p.m.; on Sundays till 5 p.m.
Open: from 10 a.m. till 5 p.m.; on Monday till 4 p.m. Address: 94, river Moika Emb. 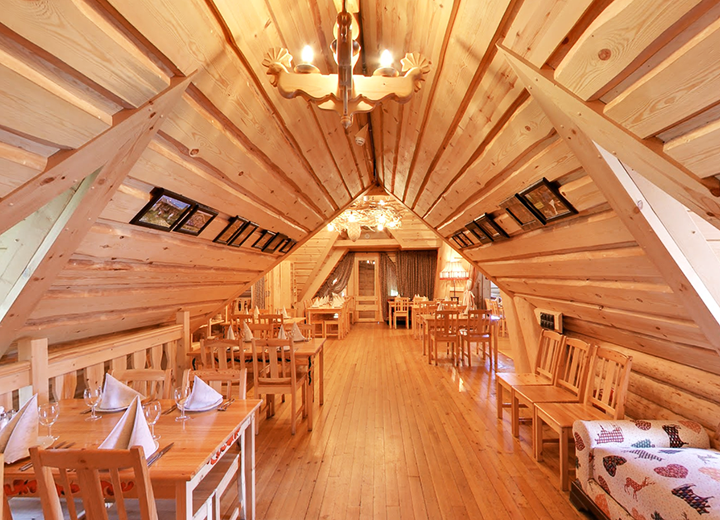 Address: Kuznechny lane, Vladimirsky pr. 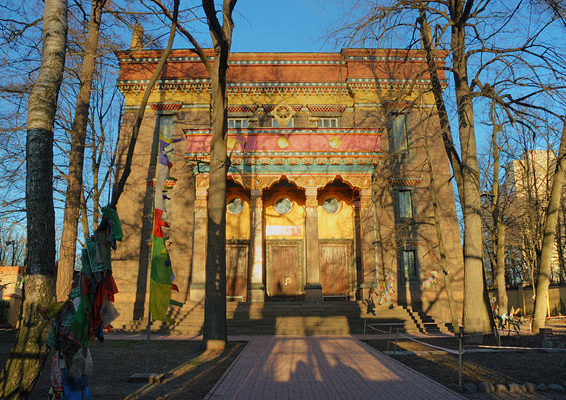 The most northern Buddhist temple of Europe was founded at the beginning of the 20th century. Among new inhabitants of the city in the time of Peter the Great, there were the Muslim Tatars. 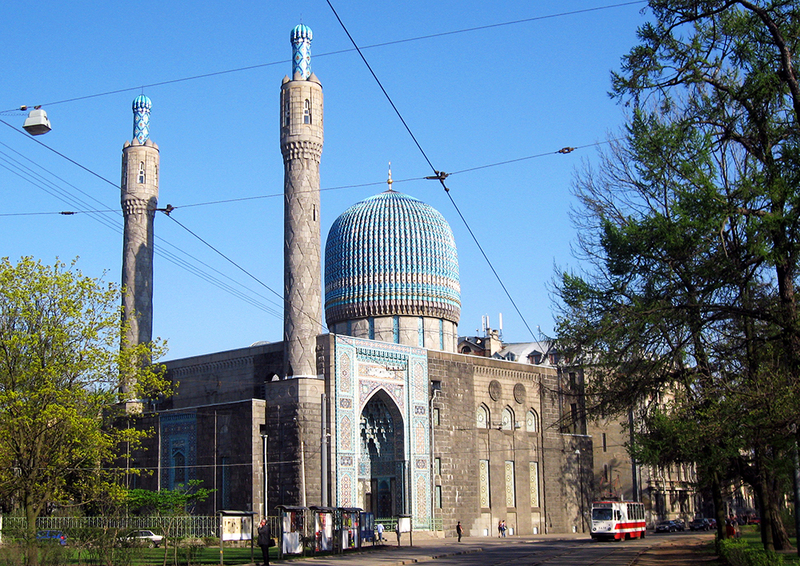 In 1914, the mosque was built to the design of the architects N. Vasil’ev and A. Gogen. The tops of the minarets are decorated with turquoise tiling. 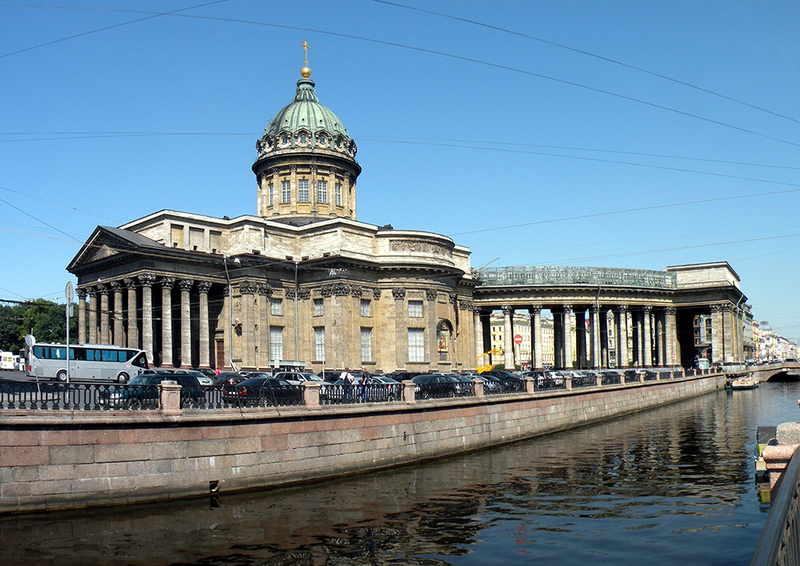 The St. Petersburg synagogue is the second largest jewish temple in the world. 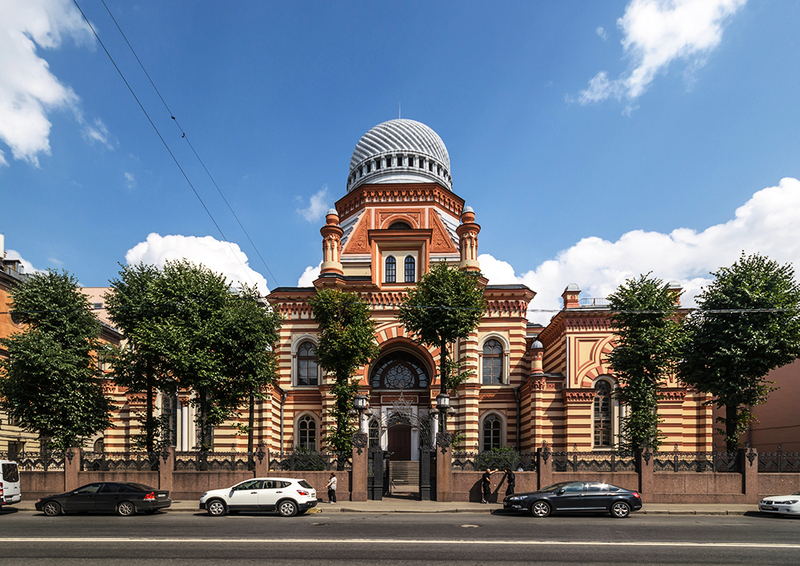 The building of the synagogue was constructed in Eastern moorish style on the orders of Emperor Alexander III in 1893. 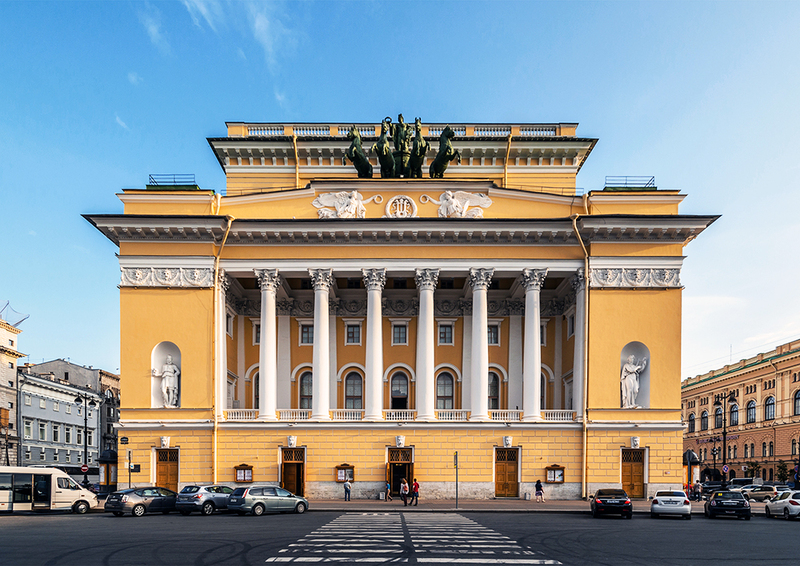 The theatre, built in Classical Style to the design by the architect Carlo Rossi in 1832, can seat 1500 spectators. The auditorium looks magnificent. 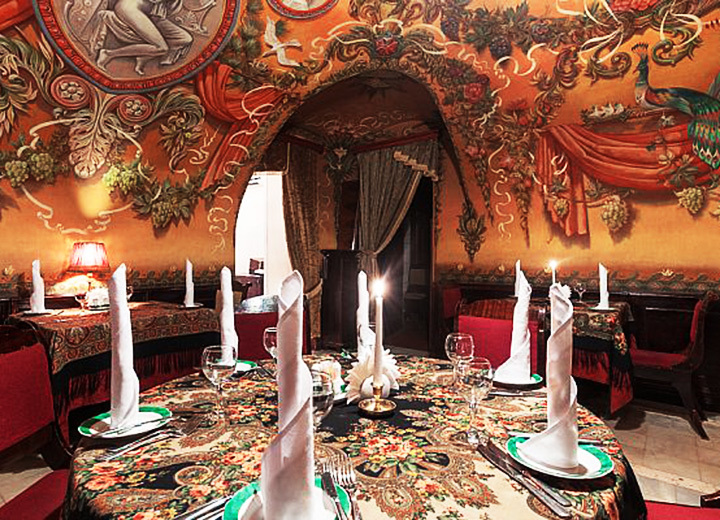 The boxes and the stage are richly ornamented with velvet and gilded wood carvings. 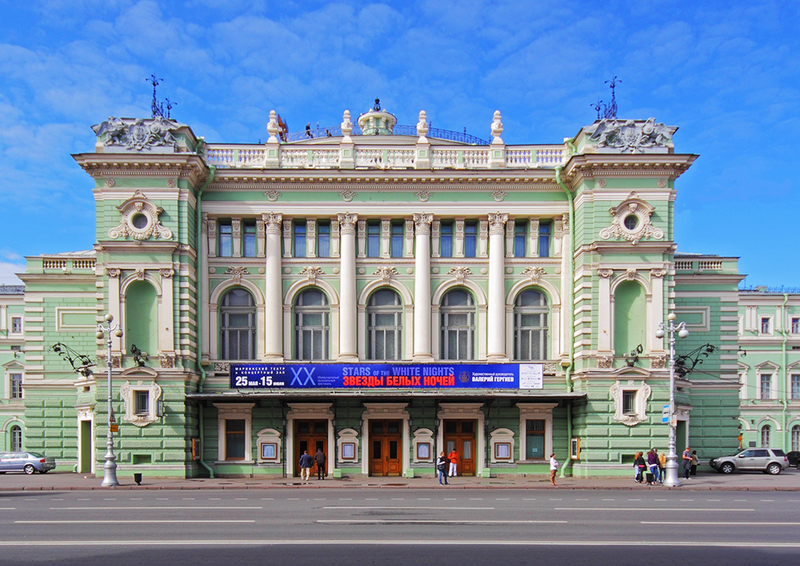 In summer ballet performances are organised in the theatre. 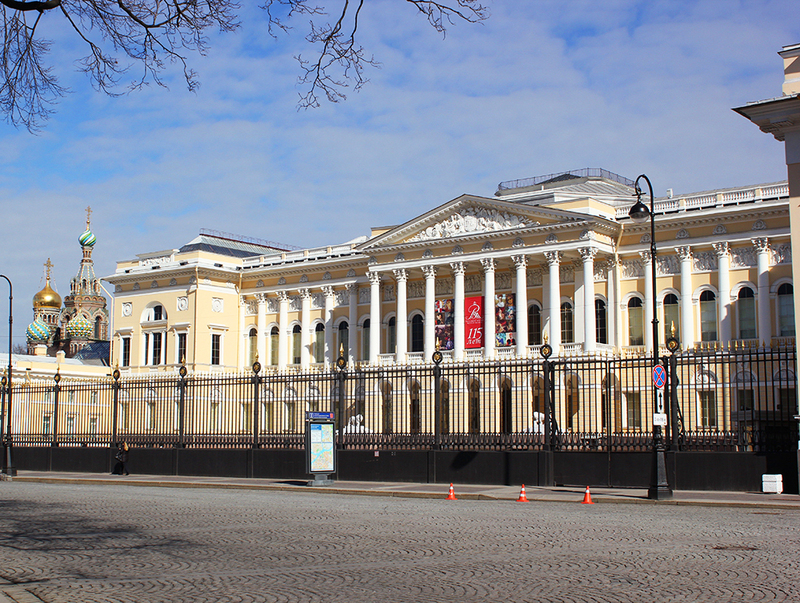 The Hermitage Theatre is a part of the Hermitage Complex. The theatre has its own orchestra. On the stage of the theatre classical ballet and operas are performed. 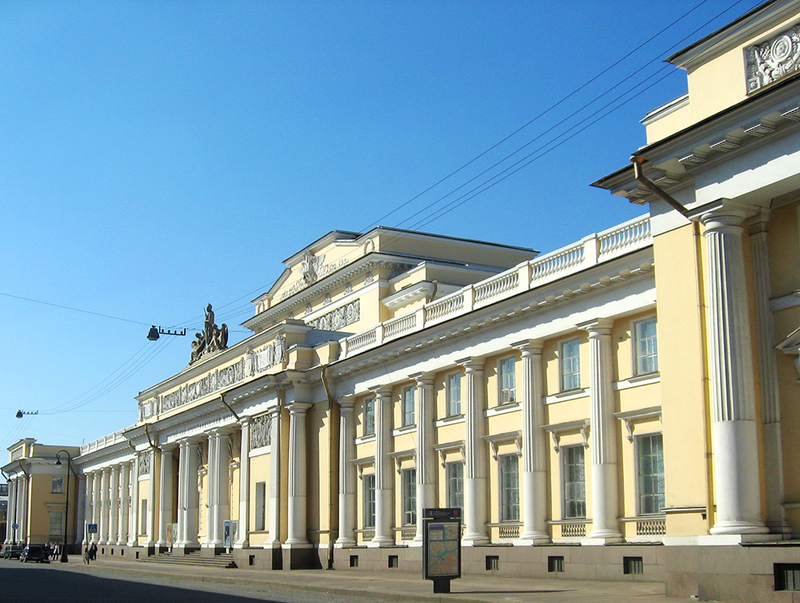 The Mariinsky Theatre (the former Kirov Theatre) It is one of the largest and oldest theatres in Russia. The theatre is famous all over the world. 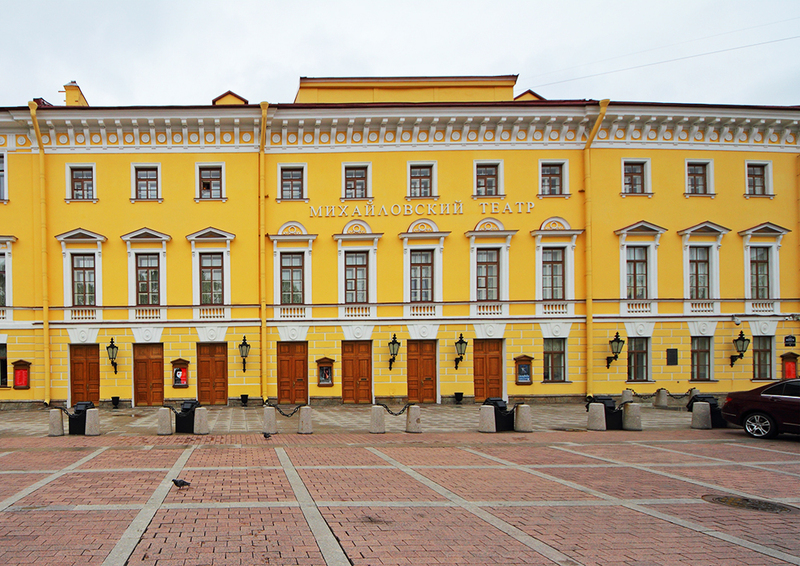 Its auditorium, in which the atmosphere of the tsars' period is still alive,can seat 1760 spectators. 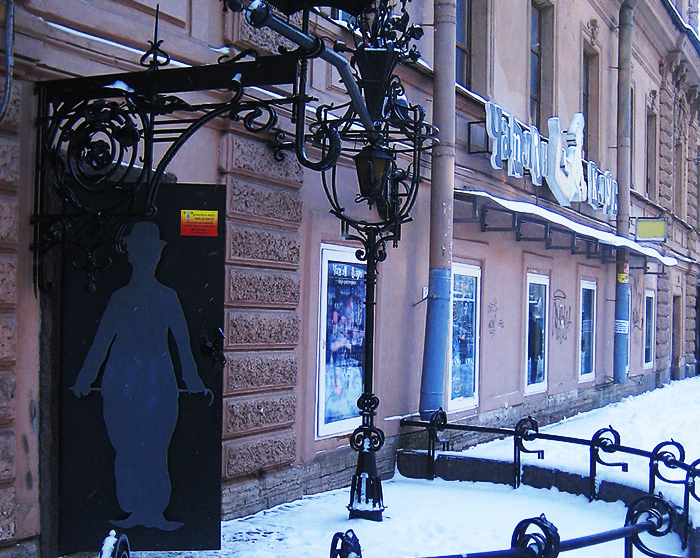 The theatre is named in honour of the Grand Duke Mikhail. 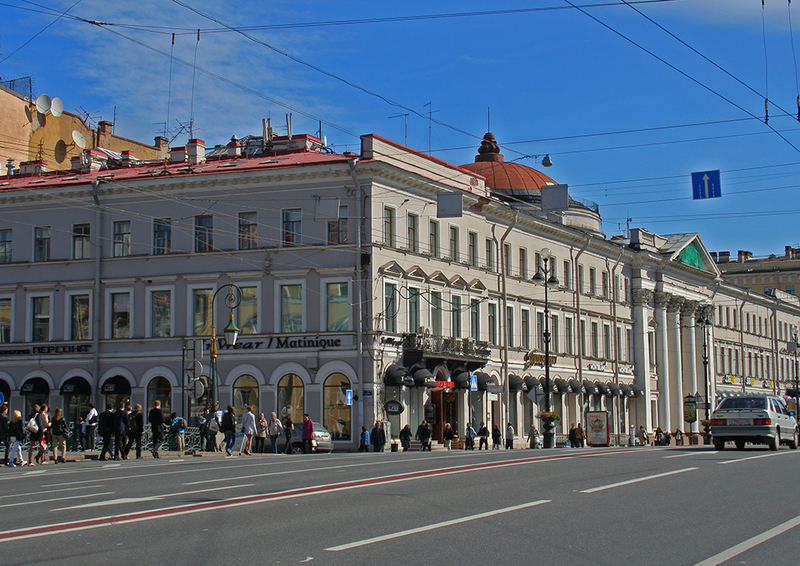 The building that houses the theatre was formerly called the Mussorgsky Theatre, in honour of the famous Russian composer Modest Mussorgsky. 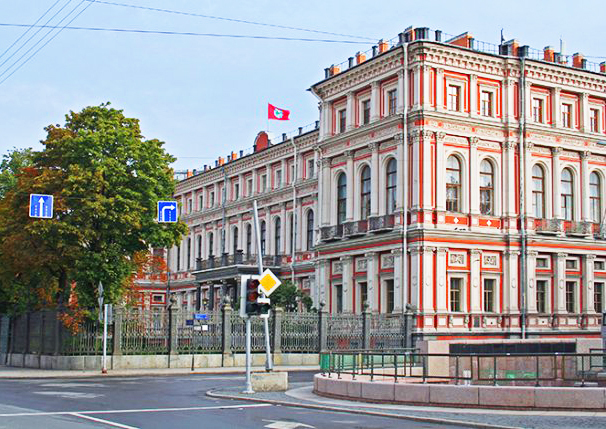 "The palace of congresses" state complex combines the functions of a modern business centre, historical and cultural reserve and governmental residence. 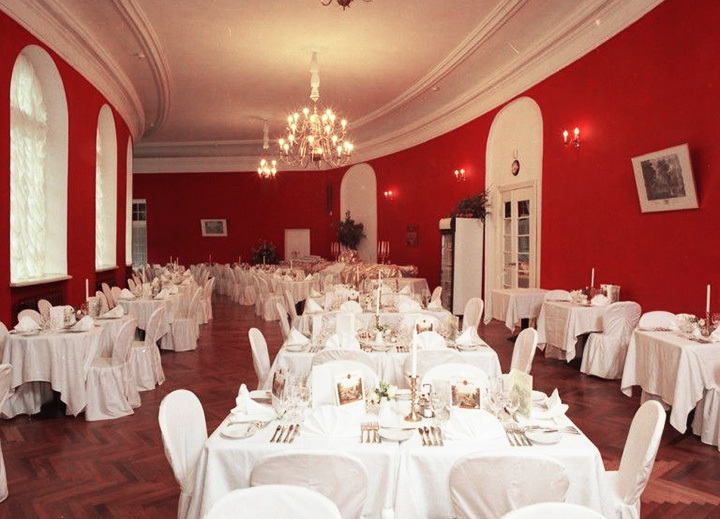 Constantinovsky palace is a part of it. 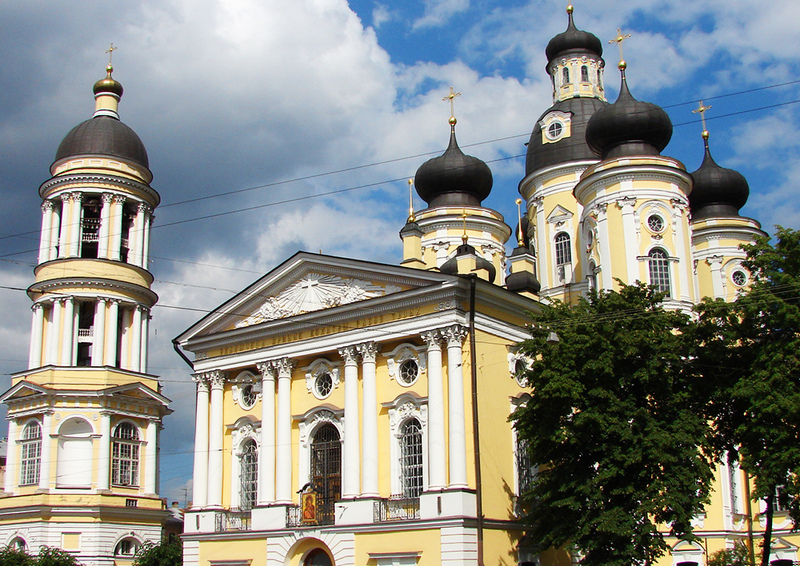 Gatchina is a country residence located to the south of St. Petersburg. 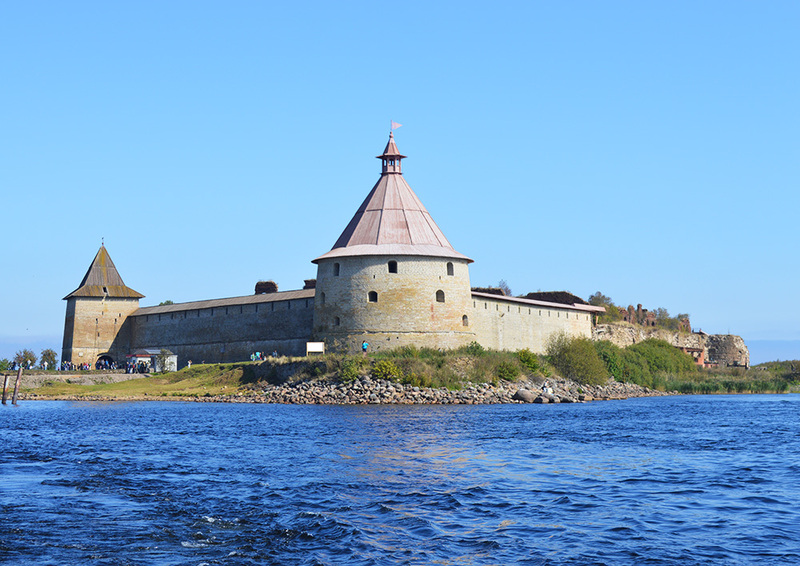 Restoration works were held for more than 60 years and nowadays some of the state rooms and the Arsenal Halls with the collection of European and Russian paintings and weapons are open to the public. 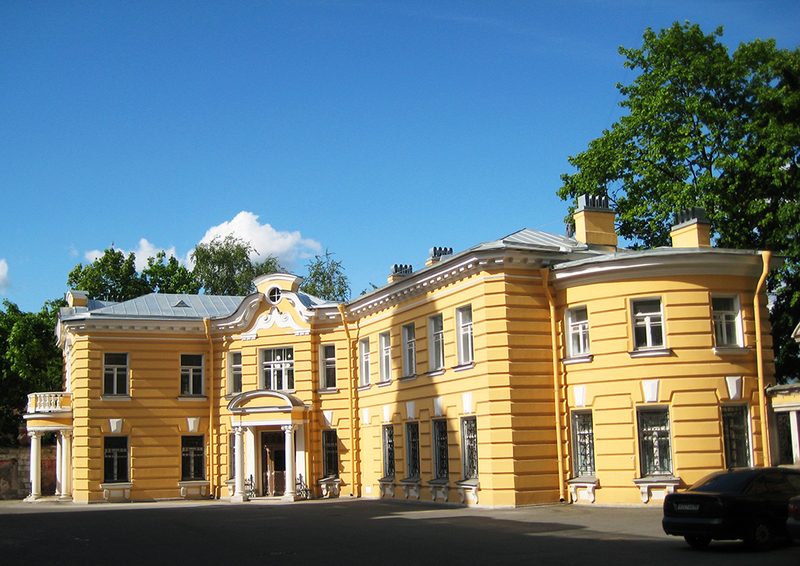 The Gatchina Palace is open from 10.00a. m. till 5p. 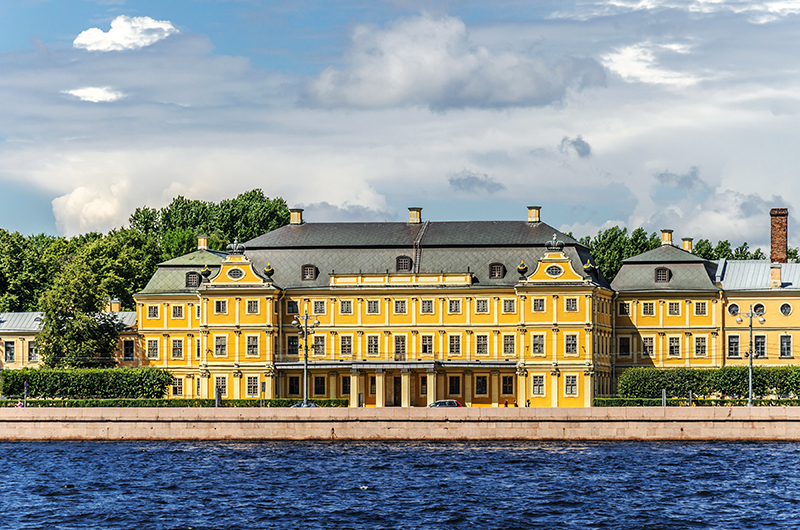 m.
The Pavlovsk palace and park complex is an outstanding monument of Classicism of the second half of the 18th century. It is located about 27 km. from Saint-Peresburg. The Pavlovsk Palace is open from 10.00a. m. till 5p. m.
The Grand Palace Museum and Special Storeroom are open from 10.30a.m. till 5p.m. The Cottage Museum is open from 10.30a.m. till 5p.m. Monplaisir Museum is open from 10.30a.m. till 5p.m. Catherine's Block is open from 10.30a.m. till 5p.m. 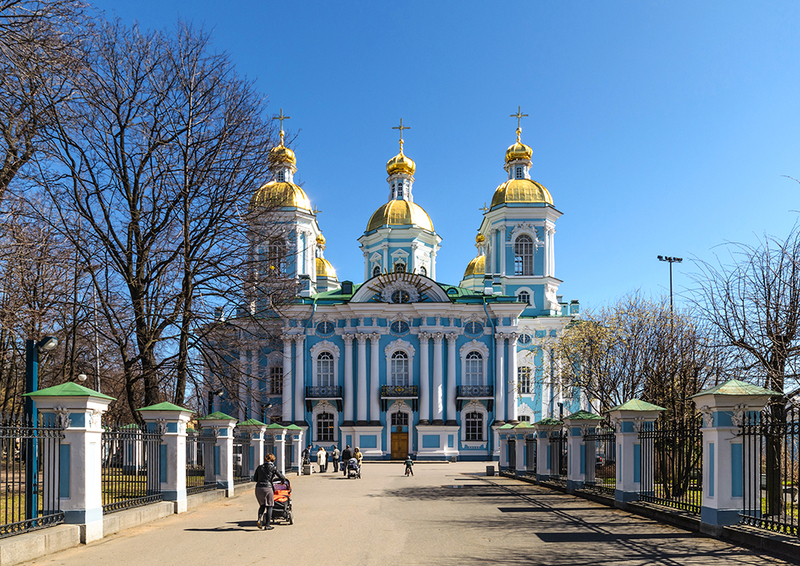 Tsarskoe Selo is a suburb of Saint-Petersburg, located about 25 km. 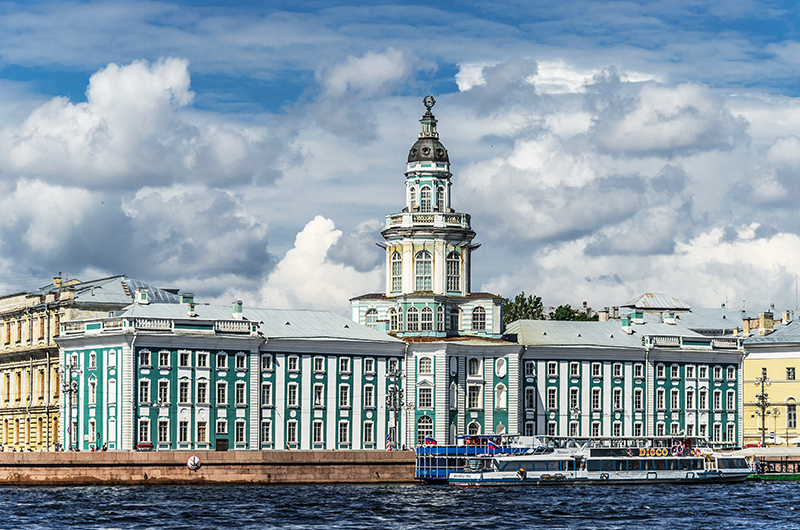 to the south of St. Petersburg, and famous for its palaces and parks. 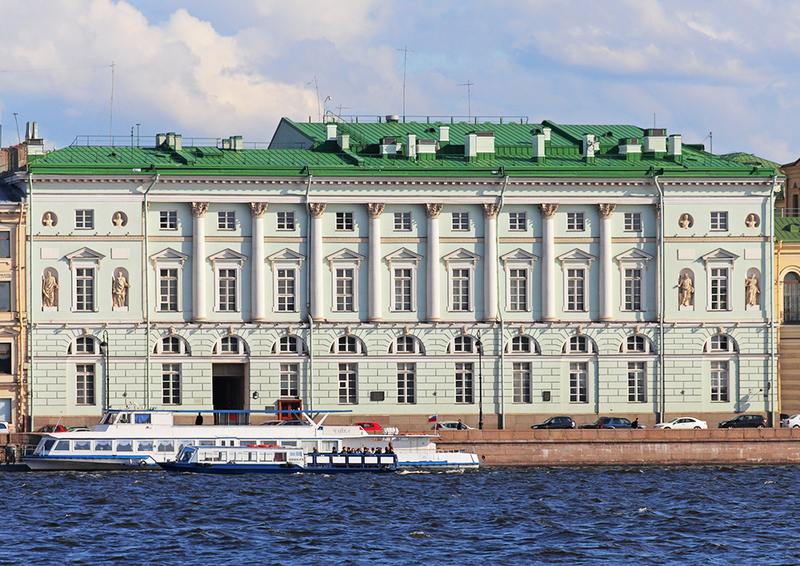 Catherine's Palace is open from 10.00a.m. till 5p.m. Alexander's Palace is open from 10.00a.m. till 4.30 p.m. The international Chaplin club is open on April 16, 1997, at birthday of sir Charles Spencer Chaplin. 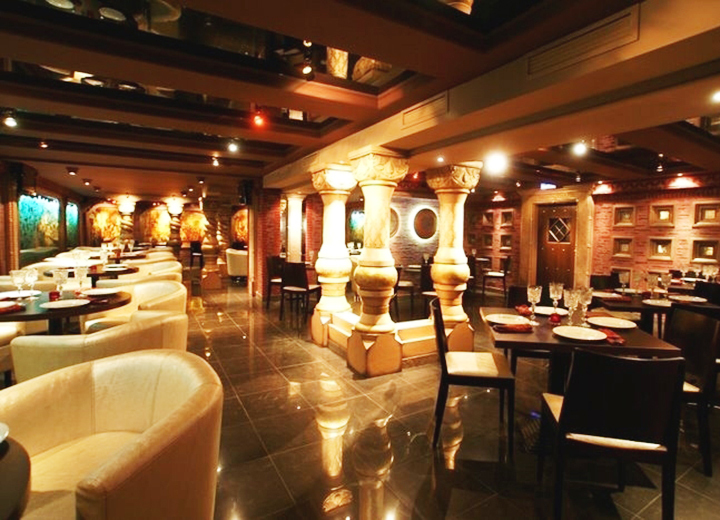 You are met by an unusual interior, relaxed atmosphere and, of course, magnificent kitchen. 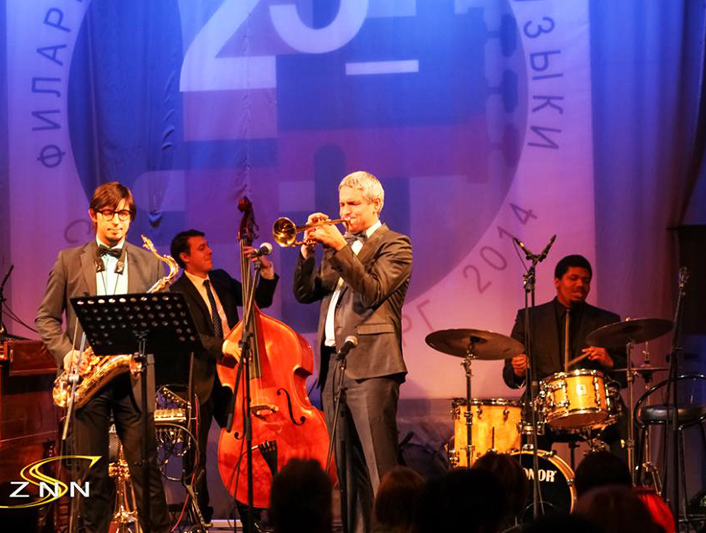 Concerts of the best Russian and foreign musicans from Wednesday to Sunday. Special jazz-balls. All kinds of beverages, light snacks and desert served during the concerts. 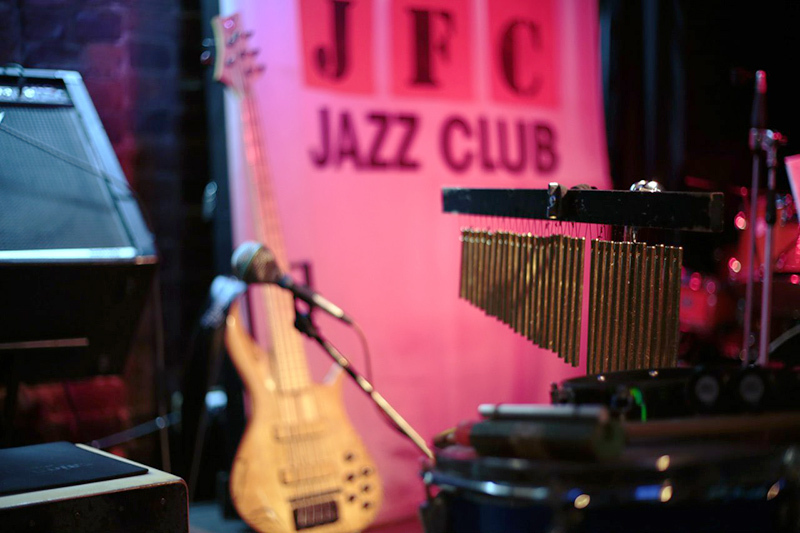 JFC jazz club - the only place in St. Petersburg where original music performed by professional musicians sounds every evening. JFC is the most popular jazz place in the city. "Jimi Hendix" is the elite club devoted to the most elite music of all times and the people. On a scene here every day leave well-known and not so blues musicians, and to find here a free little table in the evenings - very much and very uneasy. The daily show program, view of the downtown from an exclusive panorama, new acquaintances and communication in the Revolution club! 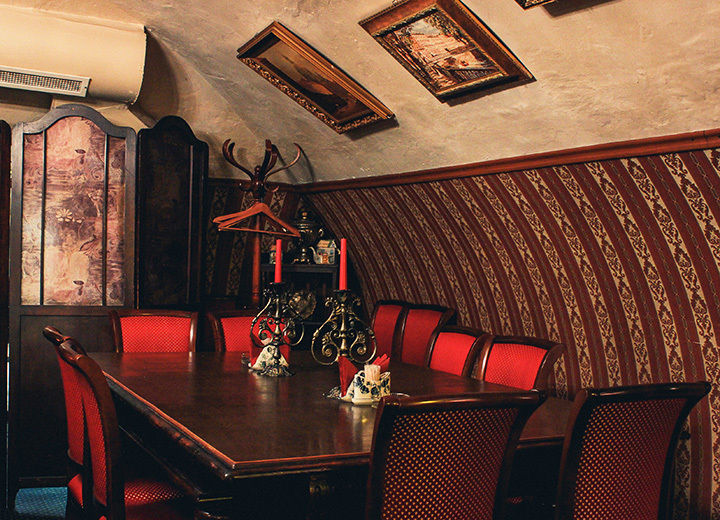 The club is in the building of the XVIII century of construction of Carlo Rossi. Generally it is an emphasis on the most popular russian and foreign music where sometimes include old hits and the disco. 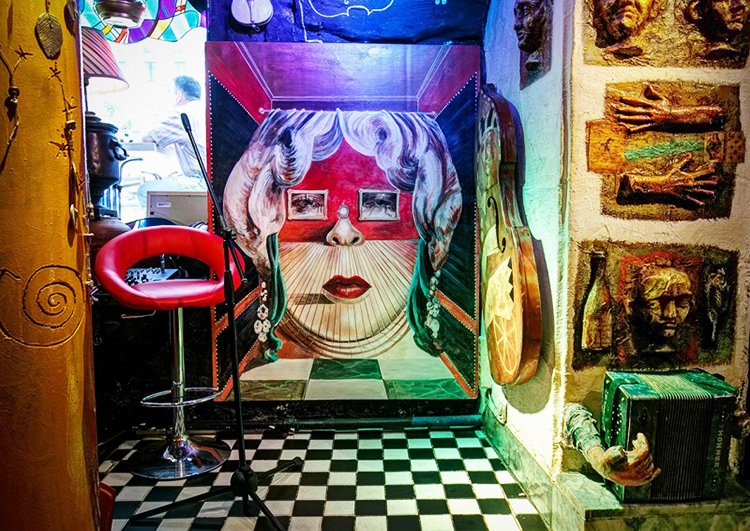 "Sunduk" - one of the first art cafes of St. Petersburg. 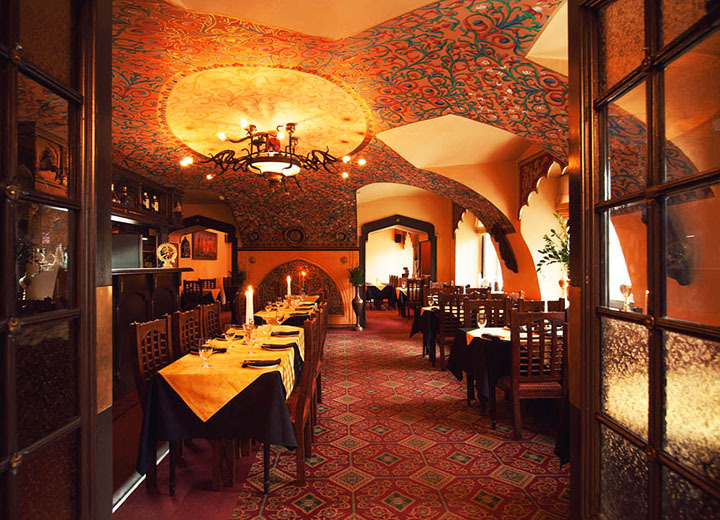 The author's interior, the unique cultural program, the sound and live music, well cooked food - here the business card of "Sunduk" art cafe.